This Hampton Bay Black Dual Mount Solar LED Post Cap Lights (2-Pack) will provide lighting on top of a deck or fence posts. The all-weather plastic construction will not rust, providing long-term enhancement to outdoor settings. A dual mount option allows lights to fit either 4-inch or 6-inch wood posts. Solar powered, these lights require no wiring. Uses LED technology - no light bulbs to replace. ProGuard Preserved Wood decorative ball tops offer an easy, attractive way to protect deck and fence posts. Use them to lend style and distinction to any outdoor project. Pressure treated with a copper-based preservative for long-term performance outdoors, they can be left to weather naturally, painted or stained. A built-in screw makes for easy installation. 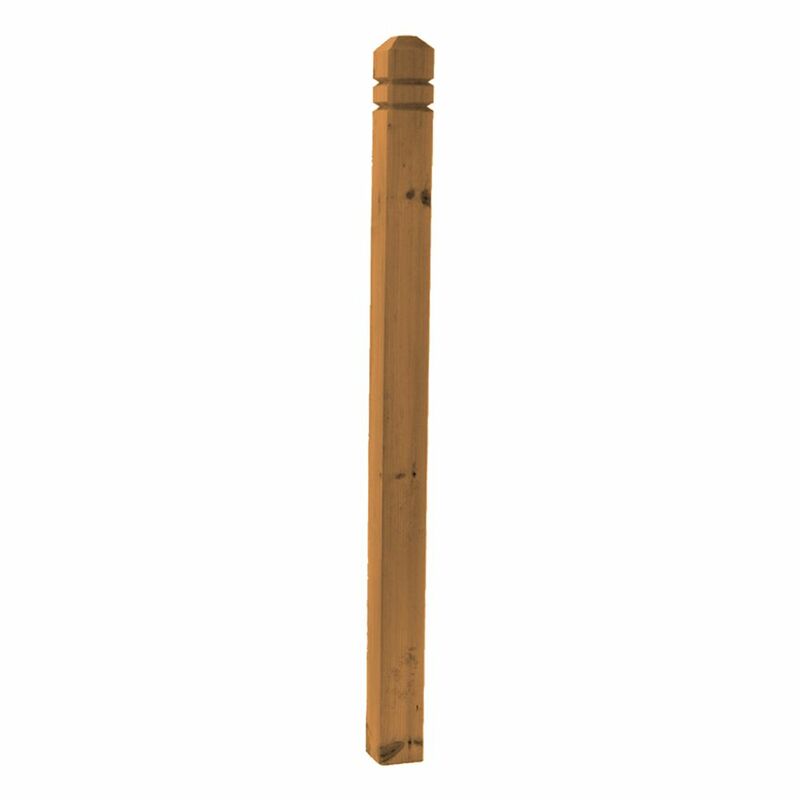 ProGuard Preserved Wood flat caps offer an easy, attractive way to protect deck and fence posts. Use them to lend style and distinction to any outdoor project. Pressure treated with a copper-based preservative for long-term performance outdoors, they can be left to weather naturally, painted or stained. 4 x 4 x 54" Treated Wood V-Groove Deck Post MicroPro Sienna Treated Wood uses the only wood preservative technology that is low VOC and certified as an Environmentally Preferable Product. Innovative colour pigment technology gives the treated wood a warm, finished look.